Provide comfort for the family of Guy Verney with a meaningful gesture of sympathy. 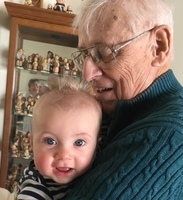 Guy Verney, 86, of Avon, loving husband, father, grandfather, great-grandfather, brother, and friend, died peacefully in his sleep on Saturday, March 23 after a short illness. The middle of three brothers, Guy was born on August 29, 1932 in Winthrop, MA. After graduating from High School from Townsend (MA) High School in 1950 and Williams College, where he majored in Music, Guy married the love of his life, Julie Farrar, on November 5, 1954. Together, they went on to raise two sons, Jeff and Jay, in houses that were filled with love, laughter, sports (especially following the Red Sox, Celtics, and the UConn Women’s Huskies), music, and faith. After graduation from college, Guy served in the US Air Force as Captain for three years. He then took a job with Connecticut General Life Insurance Company where he worked for 32 years in a variety of management positions in the Equity Sales, Pension Trust, Group Claims Administration, and Individual Reinsurance organizations. He made many enduring friendships during his years at CG, and was always valued as a compassionate leader throughout his career. Guy and Julie were members of St. Alban’s Episcopal Church for 32 years where Guy was very involved in many aspects of the church including Vestry, Choir, Junior Choir Director, Chair of the Every Member Canvass, and Chair of the Organ Fund. During the past 20 years, Guy and Julie have been members of St. John’s Episcopal Church in West Hartford, where Guy played piano during the Hughes Home Sunday services conducted by the St. John’s lay readers. Hymns and sacred choral music were very meaningful to Guy, who loved listening to, singing and playing this music throughout his life. Guy also deeply enjoyed playing golf, bridge, and making puzzles. He qualified one year to play in the National Jigsaw Puzzle Championships where he spent one of the most memorable weekends of his life. Upon retirement Guy also served as President of the Long Cove (Guilford) Homeowners Association, and the Vice President of the Legend Hill (Madison) Homeowners Association. He also was a very successful Vice Chair, Class Agent for the Williams College Alumni Fund for 25 years, winning many trophies on behalf of the generosity of his Class of ’54 classmates. Whatever he did and wherever he was, Guy was always quick to share a smile and conversation with everyone that he met, trying to brighten everyone’s day. Guy was predeceased by his parents Arthur and Helen Verney. 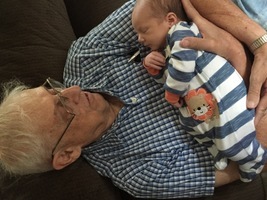 He is survived by his beloved wife Julie, to whom Guy served as a caregiver for many years, his sons Jeff and Jay, his daughters-in-law Pam and Jan, his grandchildren Jamie (and wife Kayla) and Sam, his great-grandchild Kace, his brothers Richard and Douglas, his brother-in-law Bob Leahy, his sisters-in-law Nancy Rutherford and Betty Farrar, and many wonderful nieces and nephews. Guy’s life will be celebrated at a Memorial Service at St. John’s Episcopal Church in West Hartford, CT on Saturday, April 13, at 11am with a reception to be held at St. John’s immediately after the service. Internment will be in the Center Cemetery in Simsbury at the discretion of the family. In lieu of flowers, please donate to the Williams College Alumni Fund. 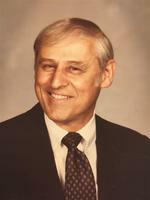 Please visit Guy’s Book of Memories at www.vincentfuneralhome.com for online tributes. We encourage you to share your most beloved memories of Guy here, so that the family and other loved ones can always see it. You can upload cherished photographs, or share your favorite stories, and can even comment on those shared by others. Provide comfort for the family of Guy Verney by sending flowers. With heartfelt condolences, The Heise Family. 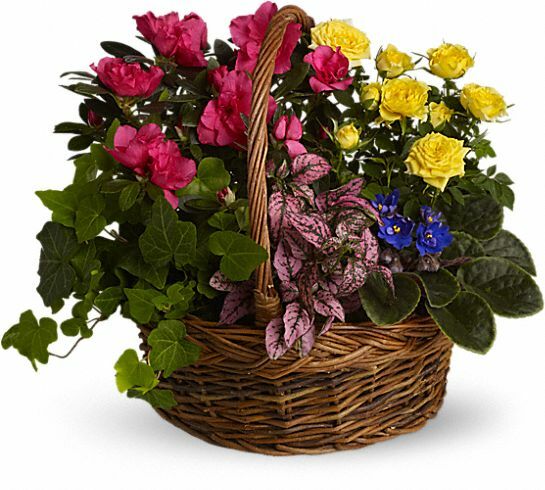 Heartfelt Sympathies Store purchased the Blooming Garden Basket for the family of Guy Verney. Uncle Guy was the best uncle ever! He taught me so much about life by showing me the importance of kindness, treating people with respect, and by sharing wisdom about how to managelife challenges. He was also a worthy opponent on the basketball court when we met in our Easter Classics. He had a devastating mid-range game which usually led the chain nets to go - as he described it - “Ching” as the ball went through the hoop. Everyone who knew Uncle Guy today feels a sense of great loss but especially dear Aunt Julie, Jeff and Jay, and their families. Yet in the great sadness of the loss we celebrate the many memories he left us. 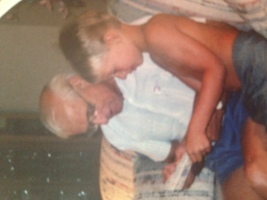 I will always miss, and never forget my Uncle Guy as I keep his loving memory in my heart. He will be greatly missed.